Laser Cut Military Parts - 321 Stainless Steel Laser Cutting | Laser Cutting Company, Inc. 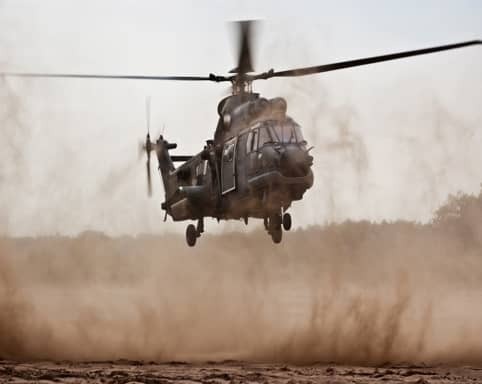 When it comes to manufacturing precision metal parts, the abilities to withstand extreme situations—on time and on budget—are critical attributes for any supplier of products and services for military applications. Government regulations and military specifications provide an additional layer of requirements when it comes to fabricating parts for military customers. This challenge is one that Laser Cutting Company is proud to meet and exceed. We have a history of providing manufacturing and laser cutting solutions to aid our military customers in meeting their mission and ensuring our country’s security. Laser Cutting Company provides a full spectrum of metal fabrication and sheet metal processing services from design to production. Product runs can be customized and scaled to meet your needs, from one-off to full production runs. Military customers often have unique material and environmental challenges, and Laser Cutting Company has the breadth of experience to exceed these expectations. Whether the fight is in the air, at sea, or on the ground, laser cutting and sheet metal fabrication services provide the processes and parts you need for rapid mission achievement. Whether your needs are for low production run parts or full production runs with fast turnaround, our laser cutting systems can meet requirements for our military customers. The services and processes Laser Cutting Company uses to serve military clients are in full compliance with ISO 9001. For military customers and their needs, 321 stainless is a stabilized, austenitic stainless steel that contains titanium (at least five times the carbon content). This makes it especially useful for applications that come with high service temperatures (800–1500 degrees Fahrenheit), such as automobiles and components used in jet aircraft. Laser cutting 321 stainless can be done in a highly precise manner, using the material in the most efficient way possible, and maximizing downtime and minimizing the risk of injury to operators.